Magpie's Recipes: The Kerala Kitchen July 2011 is open for entries! The Kerala Kitchen July 2011 is open for entries! 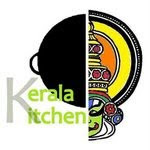 The Kerala Kitchen June 2011 event round up is up! Click here to check out all the awesome entries we received. Apologies for my chronic procrastination :( Do submit your entries to take part this month as we continue to celebrate Kerala cuisine here at Magpie's Recipes. Look forward to seeing all your delicious dishes! Do check out the Kerala Kitchen blog and rules ( they are pretty simple!) if you are participating for the first time. I have submitted 4 entries via the form above. Thanks Ramya! You are awesome! Is the july one still open? I love the header- the new one. Awesome Rose. The Kerala Kitchen on your blog!